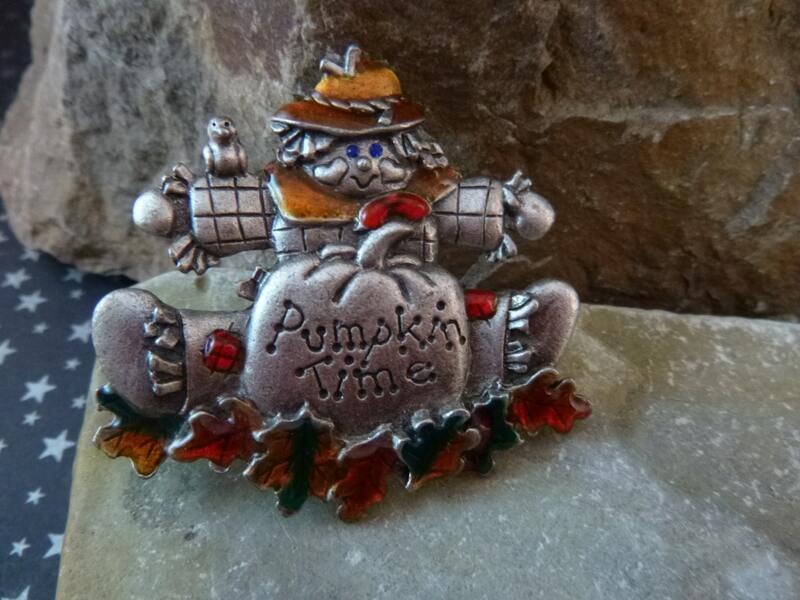 This adorable scarecrow with orange scarf and hat announces it’s “Pumpkin Time.” Perfect for Halloween enthusiasts or those loving the change of colors in the fall, this pewter and glossy enamel vintage pin captures both. 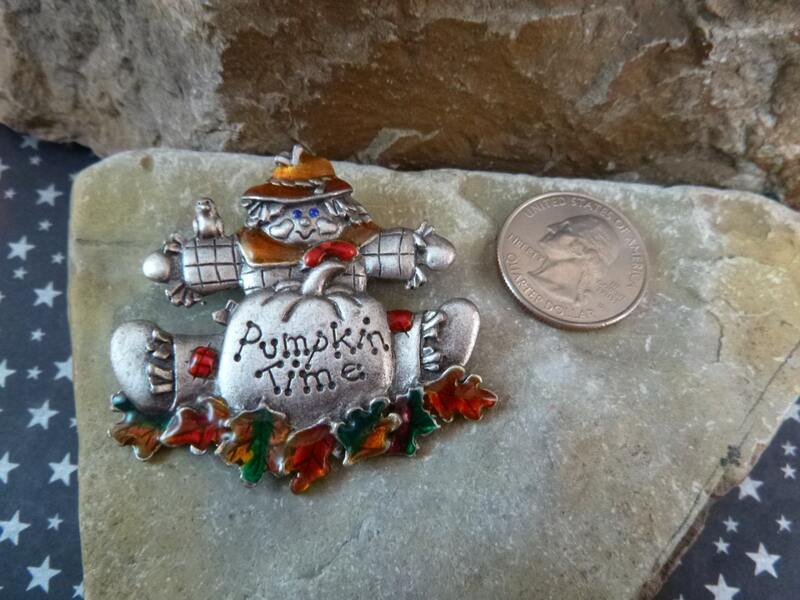 With a bird to keep her company, and blue rhinestone eyes, this lady scarecrow has character and charm. 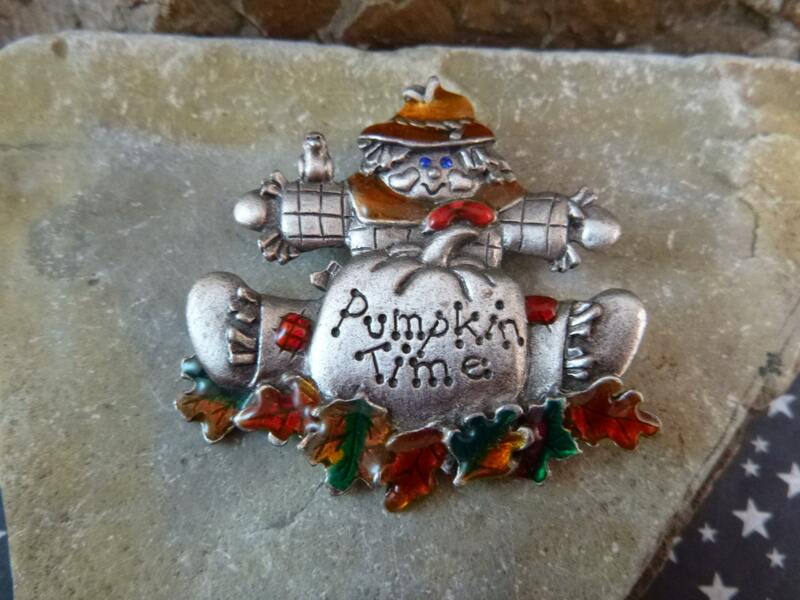 It was made by AJMC, American Jewelry Manufacturing Company and has its maker’s mark on the back. However, the mark is worn, small and a bit difficult to see. The pin measures 2” long and 1 3/4” from top to bottom. 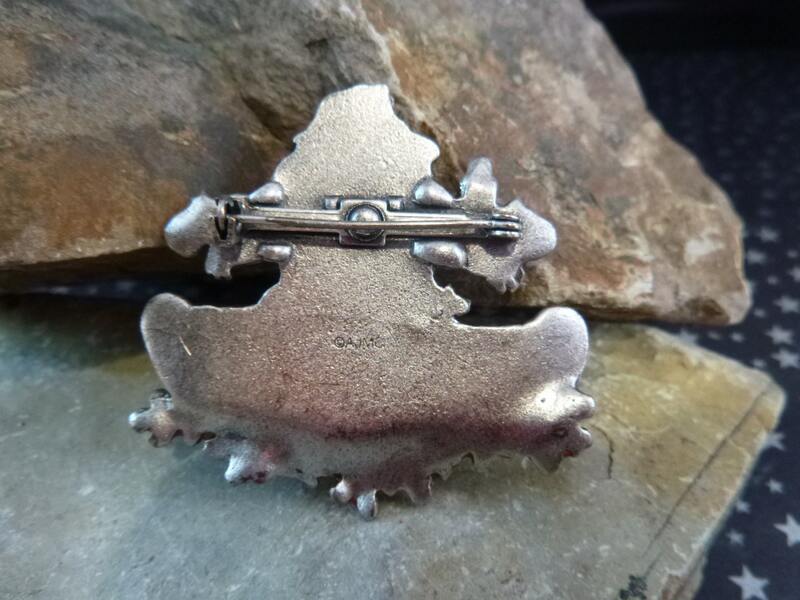 It’s in very good condition with some signs of wear; the pin and clasp are strong and secure although there is a small bend in the pin and some metal wear on it. 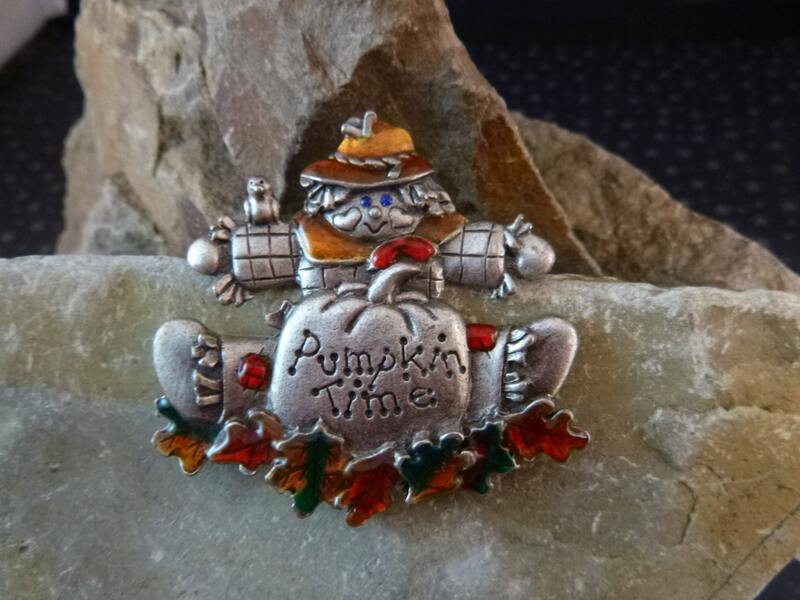 The pictures offer more perspective about this fun Pumpkin Time Halloween fall pin.